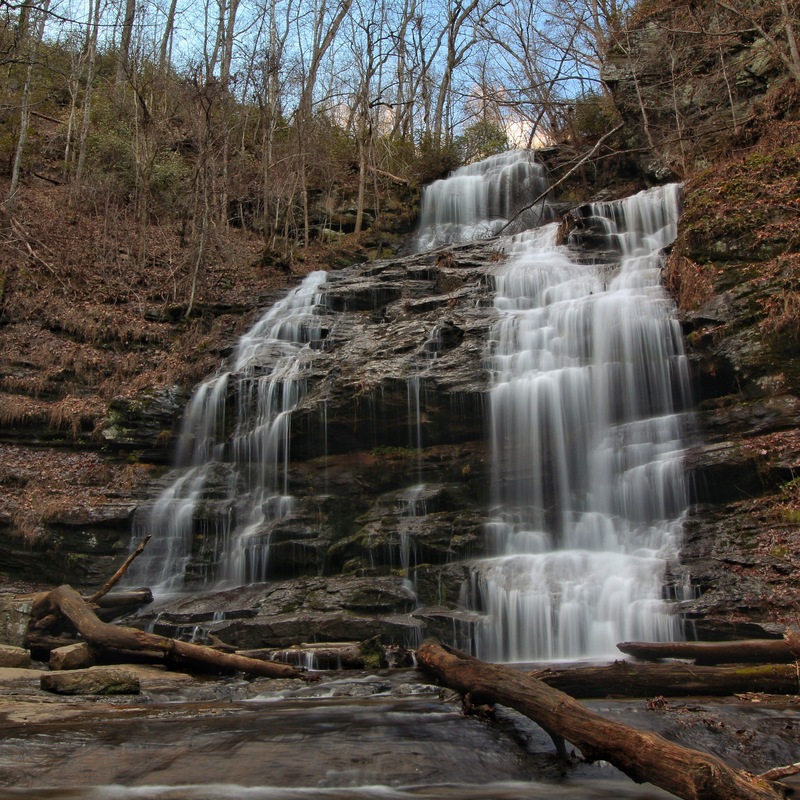 Station Cove Falls is a beautiful 60 foot set of cascades that starts as one drop and then splits into two. 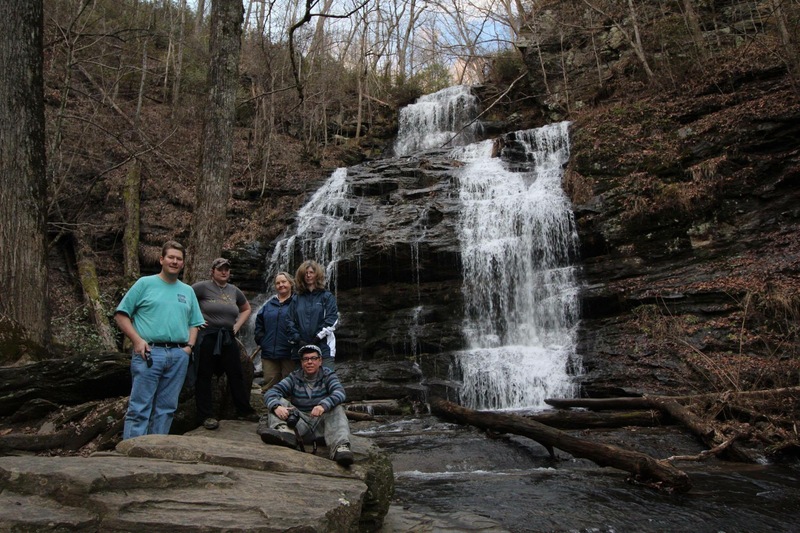 The group and I, after completing the primary hike to Sids Falls on Shoulder Bone Branch, had enough energy and daylight for 1 more waterfall. There wasn’t much time left on these short days when the sun goes down at 5 pm, so we had to choose something fairly short. 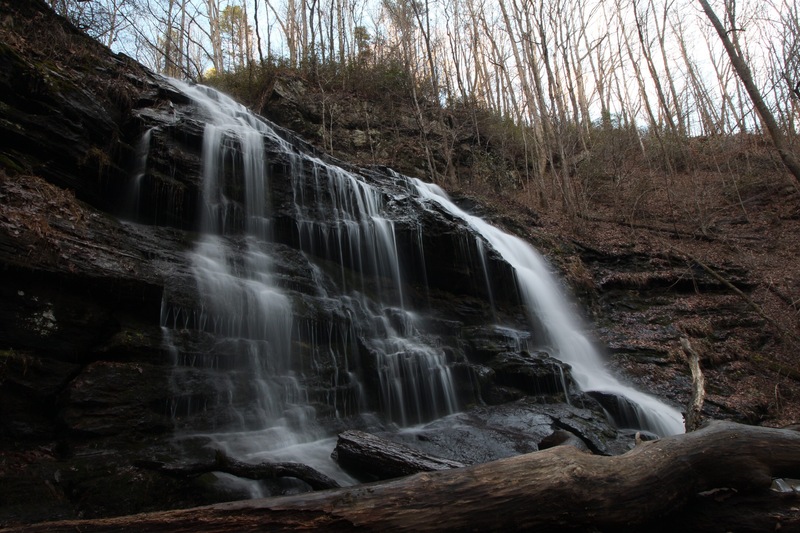 Brasstown Falls was closeby, and we actually drove right by Yellow Branch and Issaqueena Falls. 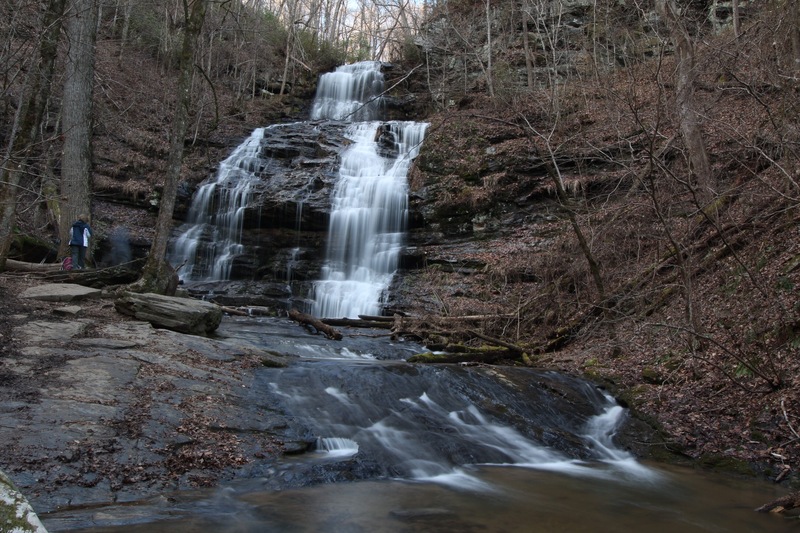 We settled on Station Cove Falls, just outside of Walhalla, SC. 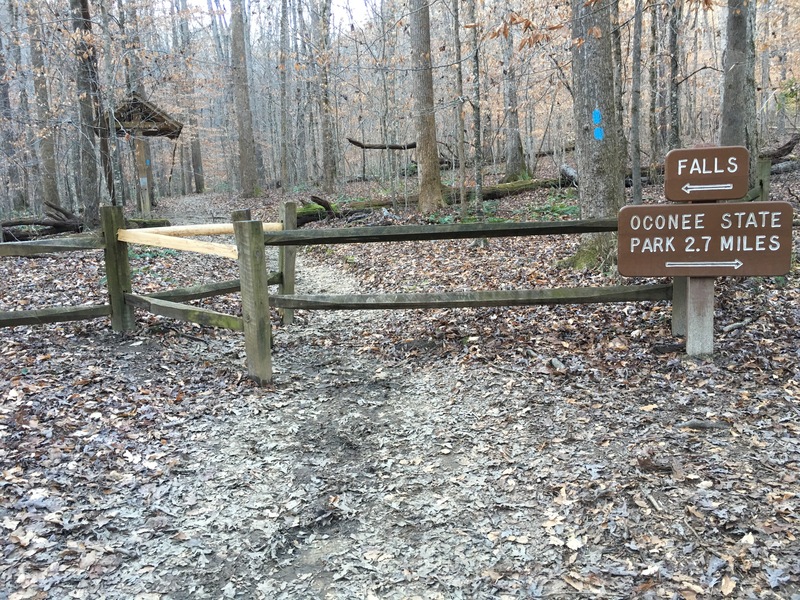 This is a short 1/2 mile hike that is about as easy as mountain hiking gets. The first half of the hike is along and just above a swamp. 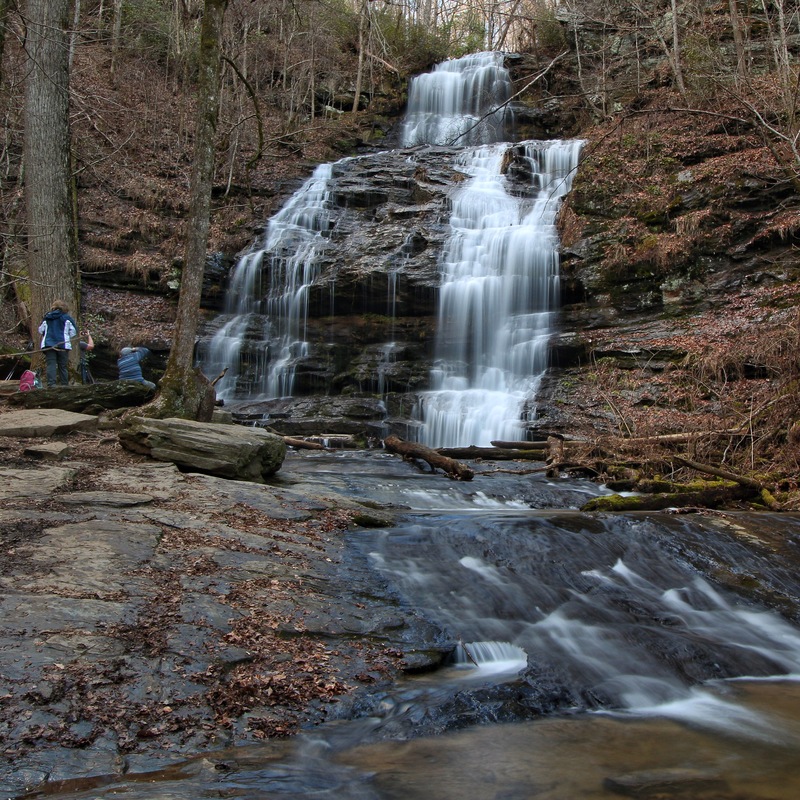 You wouldn’t think a waterfall was anywhere near this place. Once around the swamp, the landscape changes quickly as the hills rise on each side of you. The fence and info board roughly mark the changing of the landscape. 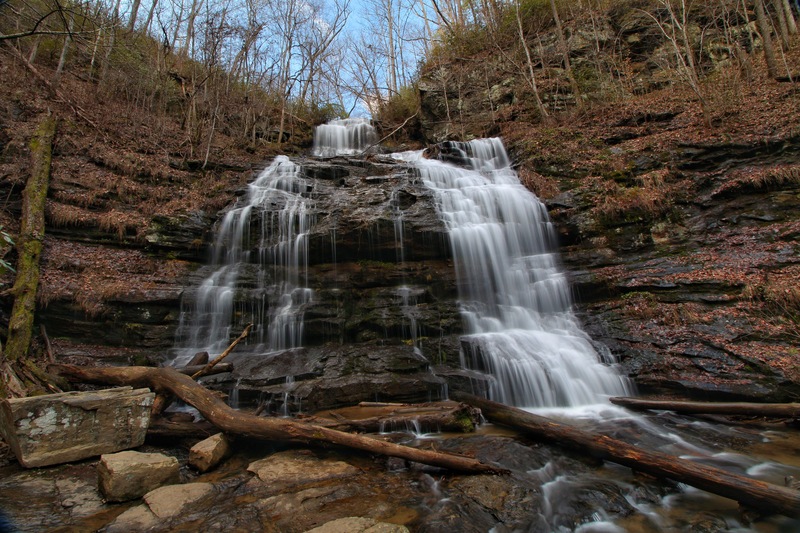 After a short distance more and an easy creek crossing, the beautiful Sation Cove Falls appears. 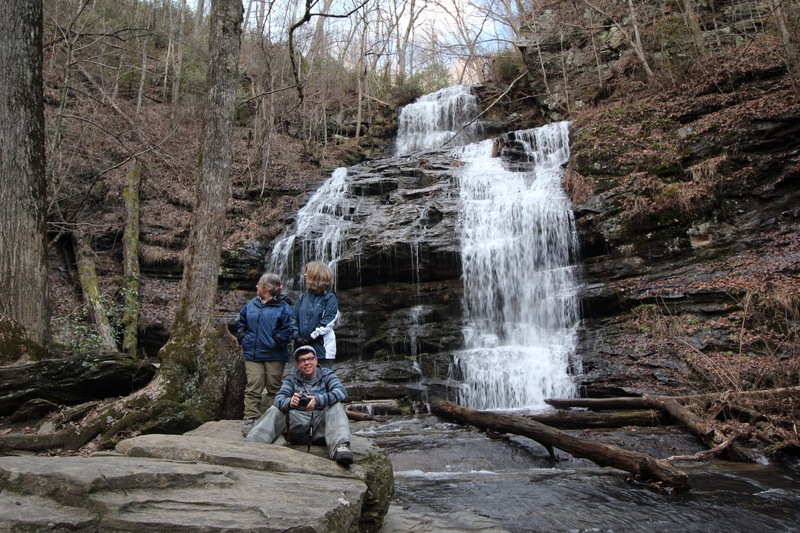 There is lots of room at the bottom of this one to move around and get different shots of the falls. 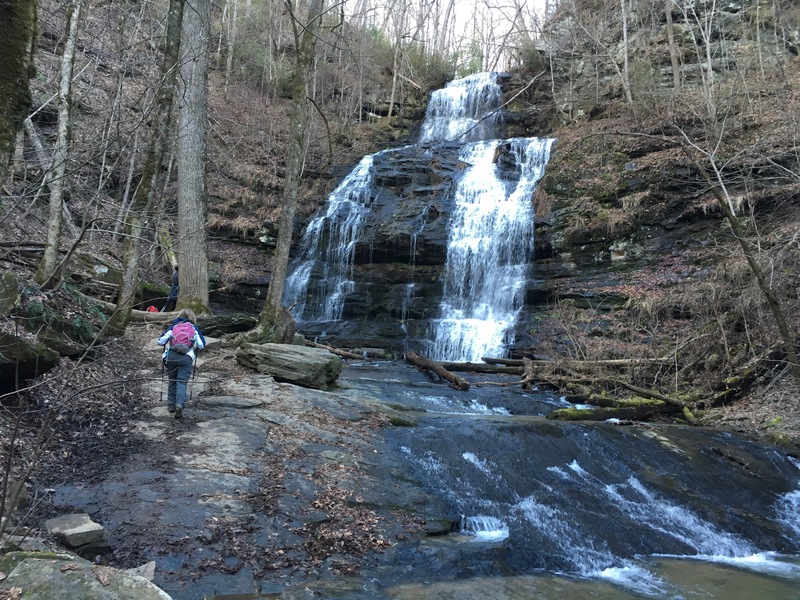 This waterfall is an easy one to add on to anyone’s South Carolina Waterfall trip and is also on the Carolina Mountain Clubs list “Waterfall Challenge 100”. Come here in spring for a brilliant Mayapple show! Thanks for sharing such a lovely photo!